To counter an anti-abortion bill, democrats in Georgia have proposed a counter bill which would outlaw vasectomies for men. The bill which was authored by Yasmin Neal of Riverdale seeks to show her mostly male counterparts how it feels to have their reproductive rights attacked the way women's are attacked. 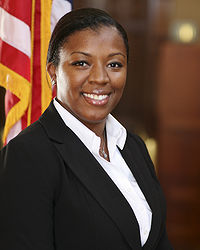 Atlanta, Ga. – February 21, 2012 – House and Senate legislators will hold a public hearing on Wednesday to call attention to the double standard on reproductive rights by introducing the Anti-Vasectomy Act. The bill’s author, Rep. Yasmin Neal, along with other members of the Georgia House Democratic Caucus, will be available to speak with press afterwards. Talk about the government telling people what to do. I guess the states can do whatever the please. Major hypocrisy. The general assembly knows whats best as to whether a not a man elects to father children? They have lost their minds! I think you' re missing the point. They' re saying its NOT fair for government to decide these things, and they're using the anti-vasectomy act in order to demonstrate the absurdity and double standards surrounding abortion acts. Of course its ridiculous, but if women can't decide without government interruption, men shouldn't be able to either. I'll admit to not thoroughly reading the article and not watching the video. With all the craziness surrounding anti-abortion legislation, including what is going on in my state, I just assumed this was another ridiculous scheme. I'd say it's pretty clever. Hopefully they accomplish their objective. R.I.F. => Reading Is Fundamental! Maybe the next time you comment on something you'll actually read it first. I'm a registered Republician. It has all ways bothered me that as Republicians we talk about giving people control over their lives...keep the government out, smaller government . Yet, they can't seem to let go when it comes to a women's right to have control over her own body. How about staying out of people's bedrooms. I could care less who loves who. It's not my place to decide who you fall in love with. If the Republicians don't get there noses out of the social issues we will have another 4 years of the same ole change that has reduced my family's finances greatly. I don't care if you go to church or where you worship. That's your business. I'd vote for a candidate of any party that I thought could get the job done. Get us back on track. Isn't anti abortion completely different than a vasectomy? I mean, one prevents pregnancy, and one STOPS a pregnancy. Maybe I missed it, but is the government saying women can't get their tubes tied, or use a diphragm or condoms? And why would the insurance companies have to be responsible for anyone's birth control? You don't want to get pregnant, it's your responsibility to make sure you don't get pregnant. We're moving so far away from taking responsibility for our own actions and placing blame on everyone else because it's easier and we won't hurt anyone's feelings. That is easily one of the biggest social issues we have as a country. Hell, you can be on videotape attacking someone and plead not guilty(I understand that that is our fundamental right)because you want to get away with it. If everyone took responsibility for their own actions, and thus faced any consequences as a result of such actions, there would be a lot less crime, as it would mean that people would care about their fellow human beings. Basically, if you don't want a kid, then get protected or abstain until you can get some. The thought pattern shouldn't be, well, if I do get pregnant, I can always get an abortion.